Personalised Printed white fitted V-Neck T-shirt. Available in 4 sizes. Personalise with your ideas. 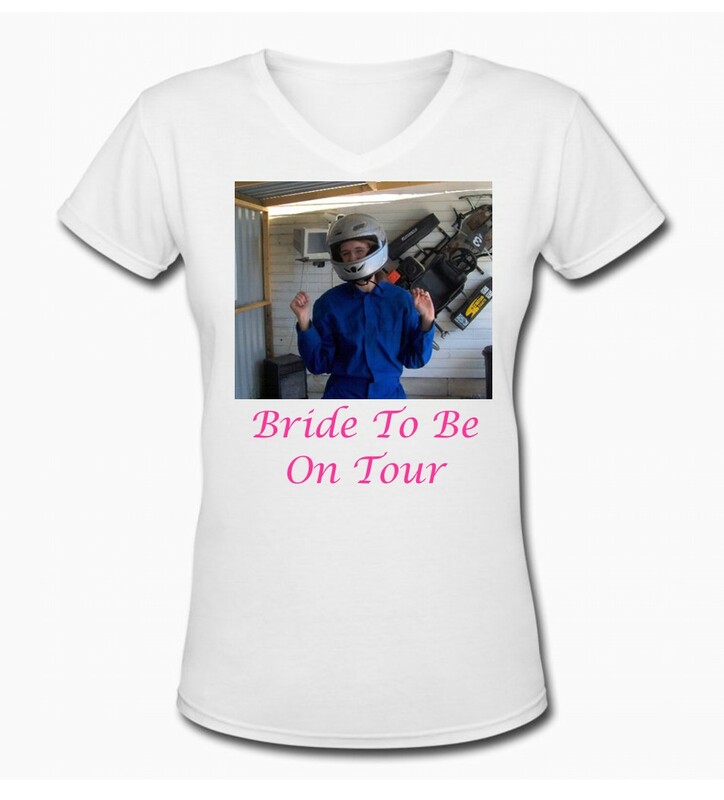 Perfect for Hen Parties, just add the Brides picture and text of your choice. The fabric content is 63/37 Polyester/Cotton and the weight is 180gsm. Included in the price is a photo and text on the front. For extra text on the back please see the prices in the drop down boxes below.